The loss of hair is a hot topic among men of many ages and walks of life. There have been all kinds of myths and misunderstandings that have evolved and formed from Chinese whispers, but it’s more than reasonable to say that the vast majority are unfounded and can easily be debunked. 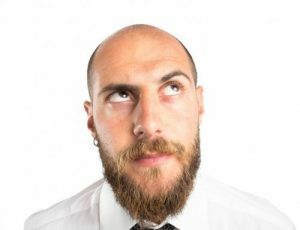 So, given that our spray on hair products are on hand to help overcome the real issues men are facing, and that we know our stuff, why don’t we run through a handful of the most common misunderstandings about hair loss, and explain them? This should help to clear up some of the confusion around them, and hopefully, people can move on! In the UK and as a whole, in the Western world, you’ll find that it’s particularly difficult to find yourself at such a level of deficiency in vitamins that your hair begins falling out. Essentially, to lose your hair due to vitamin deficiency, you would have to be so severely deficient in a certain vitamin that you would be experiencing other problems that would certainly be noticeable, as well as/other than your hair. This basically means that your hair is not being lost because you aren’t eating correctly, although a poor diet won’t do you any favours. A popular misconception is that by wearing a hat, you are causing excessive friction on your head which can lead to hair loss. We can tell you that you need not worry, this is simply not the case. If any hairs do fall out while you’re wearing a hat, it will likely be temporary. What we would say is that anyone who continually wears a hat should be aware of any impending damage to the hair strands themselves, which can occur, making any thinning more apparent. This is a kind of half-truth, but you shouldn’t be blaming you mother! In fact, hair loss genetics are a slightly more complex. We’ve simplified it as best as we can; The X chromosome from the mother does actually carry the primary genetic factor. However, experts have stated following recent research that baldness in your dad could indicate whether or not you will start to bald. Hair loss frequently starts in men as young as those in their 20s but is not restricted to men of a certain age. The myth is well and truly fiction when it comes to the thought that hair loss is only common in older men. You can find out more about the increase in hair loss in younger men in our previous article. One that regularly crops up is that if your pores are clogged, it can lead to hair loss. Where we think people have gotten confused is the fact that clogged pores cause acne, not hair loss. Medical professionals will back this up, so you can rest assured that this is not a reason why you might be having hair loss. It’s worth remembering that the majority of hair loss is a natural occurrence; it is genetic, and no matter how hard we try to convince ourselves, the onset of hair loss or a receding hair line is just not preventable. However, there are many great ways to overcome any issues that arise. 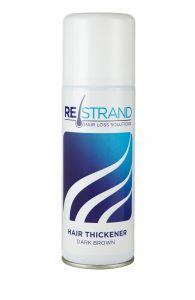 Using our hair thickening spray and other similar products can help you conceal ongoing hair loss or thinning hair. There is no known cure for hair loss. There’s every chance that you could risk tens of thousands of pounds on a risky hair transplant, for which you will also need to take hormone-suppressing drugs. So until there is a viable, cost-effective cure you can use a hair loss concealer.